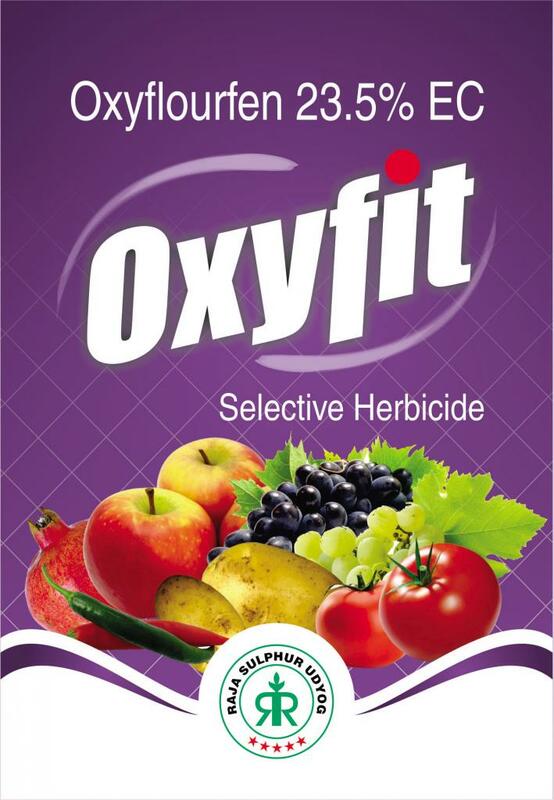 Oxyflourfen 23.5%EC is a selective herbicide used for broad spectrum pre- and post-emergent control of annual broadleaf and grassy weeds in a variety of tree fruit, nut, vine, and field crops. The largest agricultural markets in terms of total pounds active ingedient are wine grapes and almonds. There are also nonagricultural ornamental and forestry uses. Oxyfluorfen is also used for weed control in landscapes, patios, driveways, and similar areas in residential sites. Packing: Small packing as well as bulk available.